THE BRITISH RAILWAY STORIES LTD: "Hornby Heavy Tanks: In defence of consumerism"
Sometimes I think railway modellers are inclined to look at things through rose tinted spectacles a little too often. We live and work in a consumer orientated society. Every single manufacturer in every single market (except ours, apparently) is open to constructive criticism and debate on quality and pricing. Take for instance, the recent Xbox One news. Consumers and critics alike questioning the specification, the design and the eye watering price, both in comparison to its rivals and in terms of its overall value for money. This is a healthy debate: consumers are, after all, the target market and its their needs and desires that companies develop their wares for. If a manufacturer gets overly expensive for what is no longer a premium product (for examples look at Nokia and Sony Ericsson phones of years past) then their popularity will decline and they'll come in for justifiable criticism from all angles. Sometimes it makes a company pull their socks up and reinvent their own market (see apple) or generally improve their products or lower their prices accordingly. We are, after all, in a capitalism driven market and capitalism itself is what drives manufacturers like Hornby and Bachmann. They are businesses, they exist to make money and to make profits year on year. Their drive is not to fulfil every single whim of the railway modeller (though it helps, of course, to listen to what your market is telling you) but to make railway models which sell out and generate their own demand year on year. It's utter tosh, and a fundamental basic principle of business is being completely overlooked by those who are so very keen to push a particular agenda. The facts are stonewall in this particular issue I am afraid, and it goes a bit like this. There is a line in the sand where a manufacturer in any market can go too far, whether it is reducing the quality and specification of their wares but at the same time keeping their prices artificially high, or higher. Or, to go the other way and price their wares out of reach of the vast majority of their customers. We see this all the time elsewhere in the consumer led markets, and magazines, websites and TV shows are not so afraid elsewhere to cast a more critical eye. Richard Fosters review of the Hornby 42xx Heavy Tank (which should be praised for being balanced and critical where it counts for the consumer) has been unfairly ridiculed, lambasted and described, rather preposterously, as "violent" by Simon Kohler, no less! The review has been rather heinously described as "Hornby bashing", and anyone who has shown agreement with the point of view have been vilified, to the extent that yours truly was accused of over-egging the point on a certain forum for daring to disagree with the rather silly view that I have no right to voice an opinion which is concerned for future Hornby releases...! 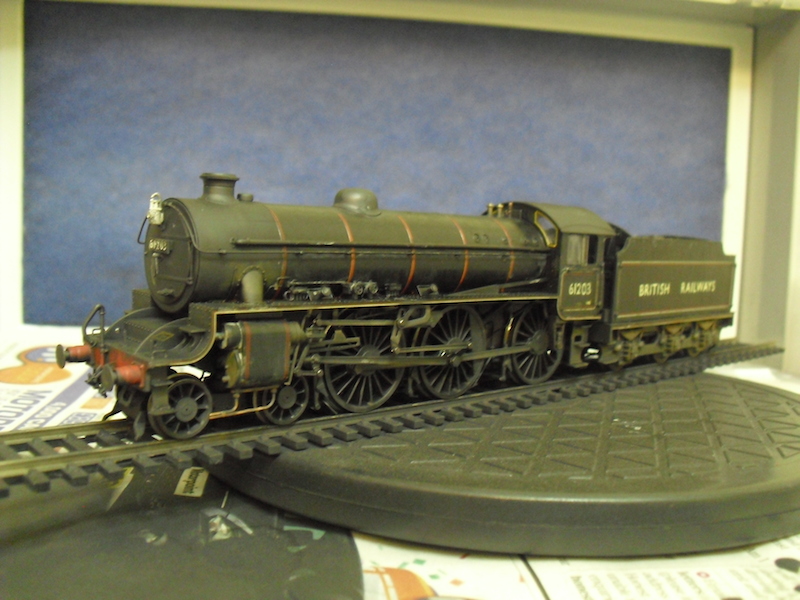 Last year I praised the Hornby Thompson O1 and the Gresley B17 in particular. 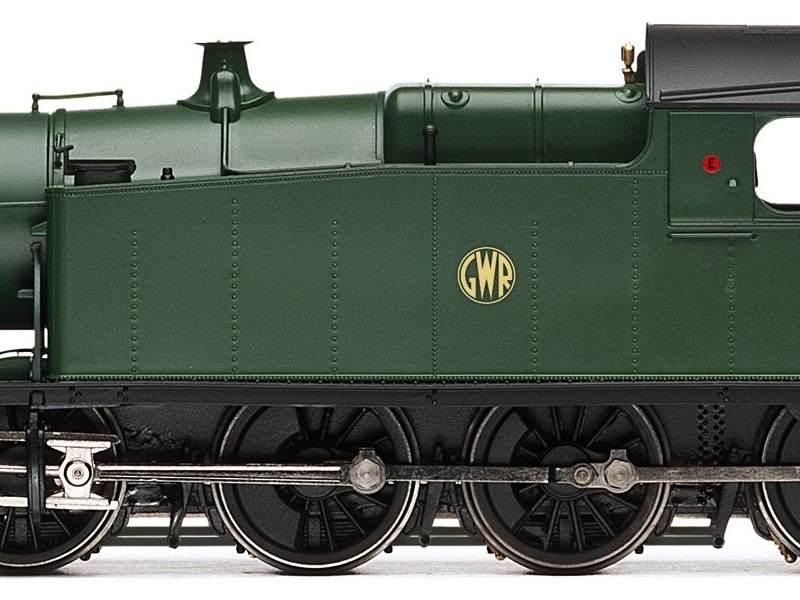 They are superb models, the O1 for me being the true "model of the year" is an incredible depiction of its prototype, with very, very few minor "flaws" (one being the smokebox door which covers a small proportion of the class, but that is fixable and several very able modellers have done that with some aplomb). In Hornbys own range it is clear that the 42xx Heavy Tank is a step back in terms of technology (both body shell and chassis) and is available at a price comparable to these much superior models Hornby have produced only a few months ago. Can you imagine the future iPhone 6 being sold without wifi capability? The next Samsung Galaxy phone sold without a touch screen? Can you imagine your new car coming without power steering and yet being sold at a price comparable to another manufacturers, which does have power steering? In the real world of other consumer led markets, quality and value for money is key, along with desirability. Hornby are fully capable of hitting all of those targets and have done consistently for some years (with the odd lemon that is the Hornby 4VEP) that but have fallen down here for me. Does saying that out loud, firmly, and without intent (lest you believe the ridiculous assertions of one webmaster in particular) harm Hornby itself? Only if they do not react to the justified criticism of their latest models. Their models have to continue to improve, or keep the standards high, and if not, should be priced accordant with their quality. Modellers are having to be more cautious in their spending. 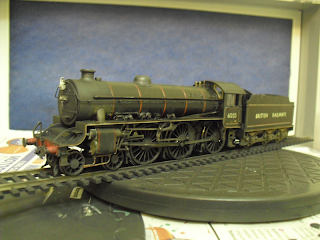 Times are hard and lots of expensive railway models are booming increasingly difficult to justify for many people. It is value for money which is most important elsewhere in the real world, and so should it be in our hobby when buying the latest ready to run models. I'm afraid the reality of this debate is that a few individuals have seen fit to turn a positive of our railway media (constructive debate and criticism) into some form of monster, which neither exists in the form so pompously described by one who should know better as rivet counting, nor is it as unwarranted as they would have you believe. Railway modellers are consumers too, and it is your right as a consumer to be critical. It is your money, your hobby and the manufacturers are businesses which exist to make money. Nothing more and nothing less. They must, as other manufacturers in other industries do, sink or swim on the basis of their wares. If their wares are not good enough, they will fail. If you want them to succeed, tell them where they are going wrong in the most constructive manner possible. Which is exactly what Richard Foster did last month, and I applaud him and Model Rail for their honest and critical review. Shame on those reviewers who have forgot the consumers and turned a blind eye to the 42xx's premium price and less than premium overall quality. Have you seen the comments on Model Rail's facebook page about the Hornby BBMF class 91? They pretty much illustrate the point you make here and in several other posts about forums. I have read those comments, and I think there's a distinction that needs to be made here Mr Foden. The Heavy Tanks are all new tooling, being sold in shops across the country and for Hornby. The Class 90 is a commission for a magazine. To expect a model which isn't in the main range to be retooled to the extent being described on Facebook is a nonsense. The Class 90 as it stands is probably very much in the "value for money" coming as it does with a new motor and gearbox combination along with an extremely complicated (and rather attractive) livery. The two models are not directly comparable I'm afraid. I treat each model on its own merit and take into into account their individual circumstances. There are two sides to every story and those on Facebook being negative about the Model Rail Class 90 have missed the point rather spectacularly. You see, it does happen on both sides of the debate! We must not confuse these two wholly separate issues. 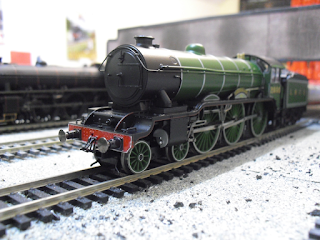 The heavy tanks are a brand new product, in their first release, and a main range item Hornby has brought to market. Their specification is a step backwards compared to extremely recent new releases (just look at those pictured above, the L1/O1/B17 and B1) and their price remains artificially high and similar to those with a much higher specification. The class 90 is a one off commission for a retailer unrelated to Hornby and also includes a very welcome donation to the RAF Benevolent fund too. To criticise the specification of that model is to miss the point spectacularly in my mind of that model. Let us not forget our rights as consumers, but also apply a little common sense when debating the pros and cons of models. Sorry, I don't think I explained myself very well here. I was meaning that the nature of the comments on that thread reminded me very much of the point of several of your recent blogs, namely some of the criticisms of the basic model rather than the BBMF version (which for the record I do like very much, it's a rather attractive and smart livery which has the added benefit in my eyes of masking some of the flaws in the Hornby model and it's all for a good cause). To me it read like a few had really just used it as an excuse to slate Hornby for producing what was in their eyes a sub-par model. Personally I've always rather liked the Hornby class 91, it was a very good model in it's day and it still holds up well today although it does show it's age in some areas (the headlights especially). This does however make it a ripe candidate for detailing and modification!=) Anyway, I digress, I hope I made myself a bit clearer anyway, if not, oh well. I very much enjoy reading your blogs and your other work. Keep up the good work! I for one am happy to see that heavy tank locomotives are coming to into play as RTR models (even if it's basic at a premium; it's worth the money to the buyer). We associate tank locomotives as small and (forgive me for the cliche reference)"blue." 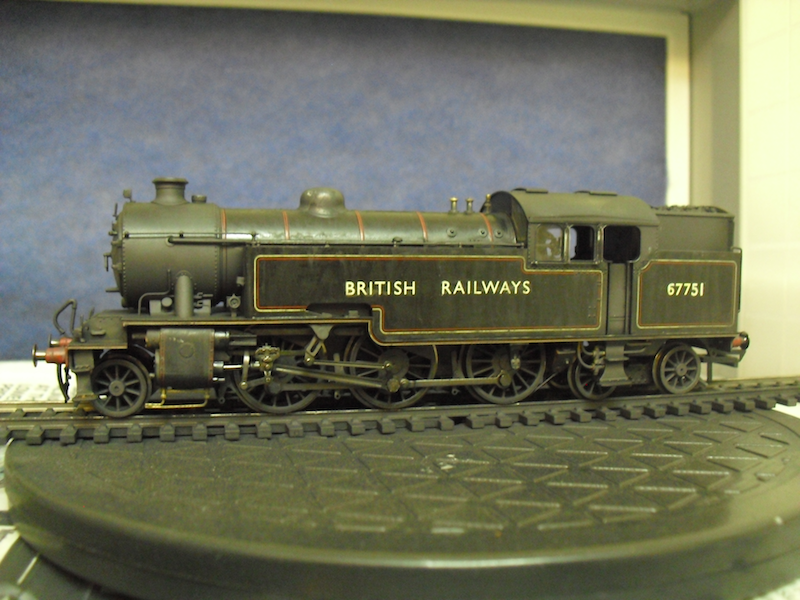 I am the proud owner of a OO scale, clockwork LNER N2 0-6-2T (so ancient that it can short out an electric layout!). This was just about as heavy as you could get (die cast, and if electric, an assumed good hauler). To say the least... power to the Heavy Tanks! Compact and a punch on a real railroad. On to more pressing matters; when do we get to see more Locomotive Profiles, more British Railway Series stories on YouTube, and more books? Model building adventures and rants are all fine and dandy, but when do we get to see more of what started it all? The bread and butter that we fell for? Quite frankly, I'm ready for more misadventures at Copley Hill! From across the pond United Kingdom/Great Britain, Happy Fourth of July, from your Yankee fans.